“Lepse” is a shining example on how Europe and Russia work together on solving an urgent nuclear safety problem. Packed with hundreds of partly damaged and highly radioactive spent nuclear fuel assemblies, “Lepse” got worldwide attention in the 90ies. What would happen if the vessel sank at port? With radionuclides onboard estimated to be some 28,000 TBq (750,000 Curie), or nearly half the release of the Cesium-137 isotope that contaminated half of northern Europe following the 1986 Chernobyl disaster, the “Lepse” was a ticking threat to people and nature around Murmansk. Built in 1936, sunken during World War II, lifted afterwards and used as a radiological support vessel for the Soviet Union’s first nuclear powered icebreaker, “Lenin” from 1962. After a coolant accident with one of the three reactors on “Lenin” in 1966 some few hundreds of the spent fuel roads were lifted over to the storage compartment to “Lepse”. Radiation levels were high and “sarcophagus” was built over by filling cement. With cement the vessel became heavy and unstable at sea. 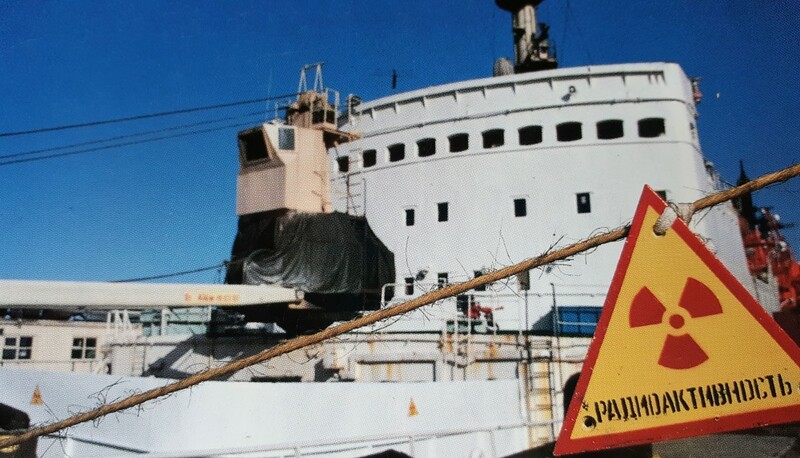 Radiation levels onboard were still high and the only quick-fix solution discussed was to tow the vessel to the east coast of Novaya Zemlya for dumping. Like the Soviet Navy did with several of their radiological hazardous reactor compartments from submarines. But, for Andrey Zolotkov, an engineer with Atomflot service base where “Lepse” stayed at quay, dumping became a non-option. As a People’s Deputy to the Supreme Council of the USSR until 1991, Zolotkov went public with some of the files indicating where liquid and solid radioactive waste from the icebreakers where dumped in the Arctic Kara Sea. He knew radioactive waste could be treated better. Teaming up with the Norwegian Bellona Foundation, Andrey Zolotkov and the management of Atomflot started to look for ways to remove the spent nuclear fuel in a safe way. Politicians, experts and fundraisers flew in to Murmansk. Different options were put on the table. Norway and the EU provided cash. Lot’s of cash. Nuclear safety is not a second-hand sale’s product. “Urgent, but too risky to rush” became a slogan for people in Russia’s Arctic capital involved in the “Lepse” project. The first grant from Norway came 21 years ago, in 1995. Some years later, the nuclear waste hulk was placed in dry-dock, preventing her from sinking at quay. In Murmansk, people wanted the vessel out of sight. 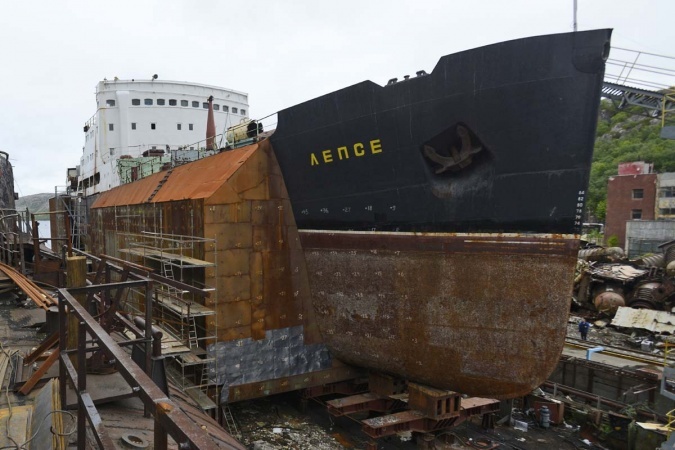 Finally, in 2012, “Lepse” was towed from Murmansk to Nerpa shipyard, were decommissioning work could start. 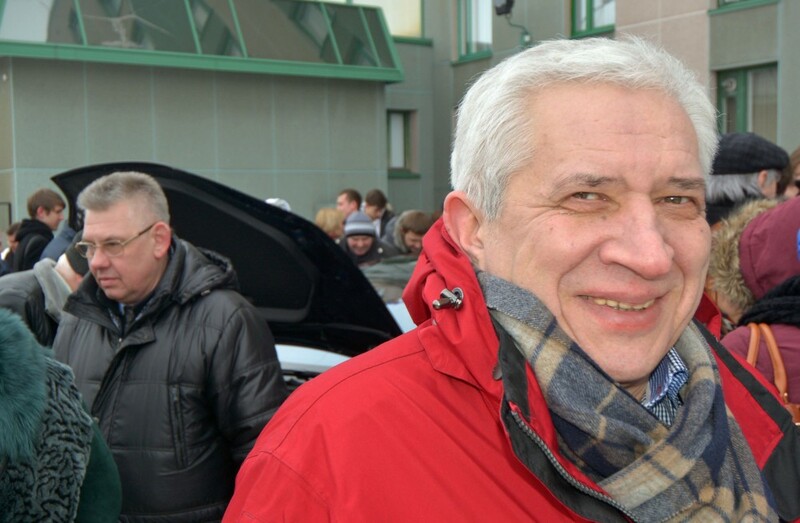 For Andrey Zolotkov, today retired from Atomflot and working full time for Bellona St. Petersburg’s branch office in Murmansk, the impressive accomplishment at Nerpa is most welcomed. “Yes, I am pretty sure it’s safe. First of all, “Lepse” is located onshore, on a solid platform. It means no floating accidents can happen,” he tells the Barents Observer. “Nerpa has demonstrated radiation levels in all the dangerous points. We can see a lot has been done to decrease the radiation level near the storage,” Zolotkov continues. For the 300,000 inhabitants in Murmansk, a surrealistic threat that for decades has been rusting at port a stone’s throw from their apartments’ blocks is eliminated. “Nerpa is really close to start a construction of a shelter to begin uploading the spent nuclear fuel,” Andrey Zolotkov says. Expenses are co-financed by the European Bank of Reconstruction and Development. The aft storage compartment of “Lepse” is now sealed in a block and will soon leave for long-term storage in Saida Bay, further west from Nerpa on the Kola Peninsula’s Barents Sea coast. Work are now to start with the dangerous forward storage compartments. A challenge is that no one today knows the state of the fuel assemblies. Consisting of uranium, there are a total of 638 assemblies, several tens are heavily damaged. If something goes wrong, results can be catastrophic – a chain reaction could start. The truth will only be revealed when breaking up the cement. Therefore, a shelter is now being built around the forward part of the vessel so working with removing the highly radioactive spent nuclear fuel elements can start. That is the most difficult and potentially hazardous part of the decommissioning and is expected to start by 2018, the publication Russian Atomic Energy reports. “To minimize the danger, it is decided to cut the entire canisters with fuel assemblies inside and not try to pull out the assemblies first,” Zoltokov explains. All decommissioning work will be completed by 2020. Then, the uranium fuel and crashed rods are transported to the reprocessing plant Majak in the South-Urals, while all radioactive contaminated hull sections of the vessel are stored in Saida Bay. If that goes well, an Arctic floating Chernobyl in slow motion has been avoided.